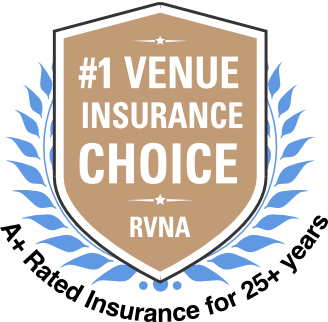 RVNA has been insuring events for over 25 years, we know what you need. Ami Kim has been such an amazing help! Provided the information I needed and I had a confirmation e-mail before we were off our FIVE MINUTE phone conversation! I am so thankful for this company as they have made our transition from a PTA to a PTO so easy! Ami, thank you so very much for your help today assisting me purchase the right insurance. It was a pleasure doing business with you. ALLY did a great job going over the application with me. She was so helpful and informative. It really helped make the process easier. I need to get a real last minute COI on the day of the shoot. Alessandra helps me on the spot and process the COI immediately, also answer all of my questions about the COI for the future. It was nice to be helped by her. Every single time I contact my insurance agency, RV Nuccio & Associates, my agents Paloma and Alessandra are so quick to respond along with being efficient, reliable and very personal on top of that. I couldn't ask for a better company to insure me, and also to have Paloma and Alessandra fill my requests as often as they do. Highly recommended!! Camille was extremely helpful in making a change to our club insurance policy. Ran into a little issue and Paloma was able to get it cleared up and all is well now. Thanks so much. I currently own a green screen and photography company. I have been using R.V. Nuccio and Associates for years. They have made insurance for my company so easy. Unlimited additions of COI's is a great perk for a company like mine that constantly needs to add new ones. Their online system is very user friendly too. Everything is paperless which... read moreI currently own a green screen and photography company. I have been using R.V. Nuccio and Associates for years. They have made insurance for my company so easy. Unlimited additions of COI's is a great perk for a company like mine that constantly needs to add new ones. Their online system is very user friendly too. Everything is paperless which I really appreciate since policies are hundreds of pages long. They have really thought of it all. Ami was an pleasure to talk to she answered all my questions and even made me feel a lot better about giving birth after talking to her. Great customer service skills. Ami Kim was extremely helpful. She was professional and handled my request in an extremely efficient manner. Thanks for the excellent service, Ami! Great service, i renewed my photographer insurance with Alessandra Sabato, she was extremely polite, prompt and helpful over the phone and once we were done she sent me my certificate thru email within minutes. I highly recommend them, they're very reliable and prompt! Ami, thank you for your prompt, courteous, and professional help today! RV Nuccio is just the best. My rep Amy always takes care of business and is a dream to work with. Never had a single issue with anything and they’re super fast at getting documents to people as needed. Definitely go with these guys! I called about the insurance for my Booster Club and spoke to an Elieen and Ali and they were very helpful going over the safety guide and they were patient with my questions as I called back again. I am glad that our club has a good insurance company to depend on. I have been using them for years for my photography business and when I need help they are there for me, stress free and one stop call resolution. I love their customer service. Thank you. RV Nuccio makes wedding insurance and needed amendments accessible. They are readily available to answer questions and make changes within 24 hours. We cannot be more pleased with their ease of access and friendly/knowledgeable staff. Always easy and pleasant to work with, Ami has helped me every year get insurance for our event. Simple!! This used to be one of the most frustrating tasks each year, but not anymore after finding your company . Thank you for EXCELLENT customer service!